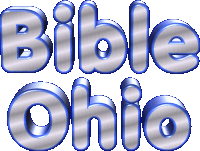 Free Bible studies are available for individuals or families at a time and place of your convenience. Study any of the following or other topics. Absolutely no charge. Why should we believe in God, Jesus, & the Bible? Why should we recognize Jesus as Lord? What does it mean to be Jesus' disciple? How can we be sure our sins are forgiven? Is baptism essential to salvation? What worship does God accept? How did modern denominations begin? To participate in a free personal or family Bible study, click here to fill out our email Comment Form. Please tell us where you live and be sure to specify that you would like to participate in a free home Bible study. If you are located closer to another faithful congregation of God's people, we will gladly attempt to arrange a Bible study for you with someone from that congregation. For further information, click here to email us.